What’s the Best Way to Drain Excess Water from Your Pool? Regardless as to whether you already own a pool or you’re thinking about having one put in, you’ve likely realized that heavy rainstorms can increase a pool’s water level by quite a bit. Questions about how to drain out the excess are common during the spring and summer months—and while draining excess water isn’t a terribly difficult task, there are some safety guidelines you’ll want to keep in mind. This is a task that’s best left to adults—don’t pass it off to your kids. Don’t wander off while you’re draining your pool. This is not the optimal time to step out to go to the market. Make sure the discharged water is draining into an appropriate space—aka, you want to make sure you don’t inadvertently flood your neighbor’s yard. Don’t operate any electrical equipment if you’re standing in water. First things first! Be sure to turn the main pool pump off, if you haven’t done that already. When you’re looking at the pump, look for a handle. It will look similar to the one that’s on the side of your house, when you want to turn hose water on and off. This handle tends to be located near the base of the water pump. When you open the valve, water will begin to drain. When the water level in your pool reduces to an appropriate height, close the valve. You may be surprised to learn that our company has received hundreds of calls from local pool owners who are desperately wanting to know the best way to drain excess water from their pool. Not only can excess water lead to contamination from nearby planters, excess water can also flood your deck. If you’re concerned about draining water from a saltwater pool, we’ll be happy to answer any questions you have about that, as well. We should also mention that if you’re thinking about draining some of the excess liquid in your saltwater pool onto your grass, you may want to think twice. Although it’s unlikely that the salt content will damage kill your grass, the leftover salt could cause some problems. Why? Because when salt begins to build up in the soil, it will start to absorb nutrients and water, which, over time, means your soil may no longer be able to sustain plant growth. Our company has years of experience in helping local home and business owners maintain, install and repair both saltwater and chlorine pools. We understand the importance of helping you maintain your investment, so that you and your family are able to enjoy your pool in the weeks and years to come. For more information about our maintenance packages, or if you have additional questions about how to best drain excess water from your pool, call us today at 720-401-0004 to learn more. All of our customers understand the importance of maintaining their pools, but they also have another key thing in common. They hire us because it helps them save time. Any busy professional who is trying to manage the time they need to spend at the office, while ushering the kids off to softball practice, camp, horseback riding lessons and/or after school activities can be hard! Finding the time to maintain their pools can be difficult, even on their slowest of days. The good news is that maintaining the health of a pool isn’t difficult, as long as it’s done on a consistent basis. When you work with Wetworks Pool & Spa you won’t just be paying for us to service your pool; you’ll get the added peace of mind that your pool won’t experience wide fluctuations in pH level, and that you won’t need to worry about it being suddenly overrun with algae. It’s also worth mentioning that when the chemistry of your water falls out of whack, the bad water chemistry can potentially cause damage to your filtration system. In addition to possibly needing to deal with damaged equipment, you’ll also need to buy a bunch of extra chemicals to get your water rebalanced. If you already work with a pool maintenance company, but you’ve noticed that all they do involves testing the water and adding some chemicals, you’re being cheated! Anyone can add chlorine tablets to water—it’s not that hard. There is no special dance or ritual that a pool maintenance company can do that will make the tablets magic. When you work with Wetworks Pool & Spa we understand that chlorine tablets can have side effects, which is why we use them sporadically. 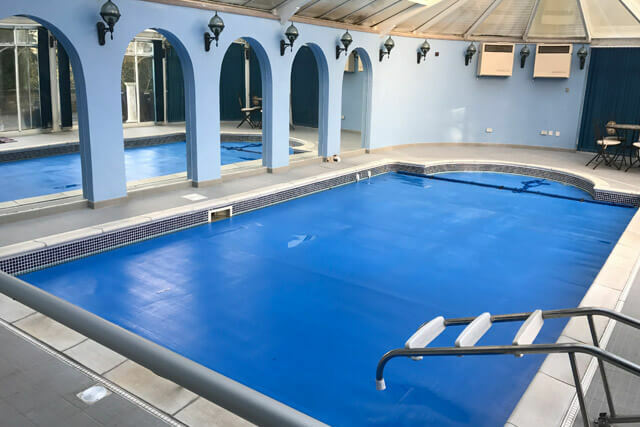 We find that using liquid chlorine will often provide the best results, and in most cases, we only use tablets during the hottest weeks of the summer. 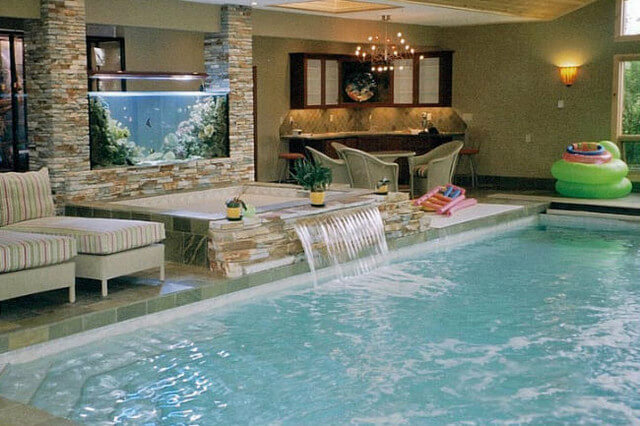 There has been this crazy rumor going around that saltwater pools are able to take care of themselves. Spoiler alert: this is a rumor, and there is no truth to this statement! You’ll still need to check the water to make sure the pH remains balanced. A saltwater pool may seem natural, because most people equate them to being similar to the ocean, but they are not even close. In fact, the average saltwater pool has only 10 percent of the salt that’s found in ocean water. Most people are surprised to learn that these pools can be a lot harder to maintain, and if you don’t know how to properly maintain one before you invest in the install, you may want to consider sticking with chlorine. Call Wetworks Pool & Spa today! If you have more questions about pro-tips for maintaining your pool call Wetworks Pool & Spa today at 720-401-0004 to speak with a local pool specialist in your area.